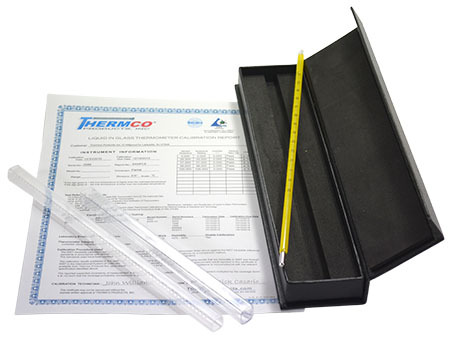 Thermco’s Certified Thermometers are used in temperature verification and calibration procedures. 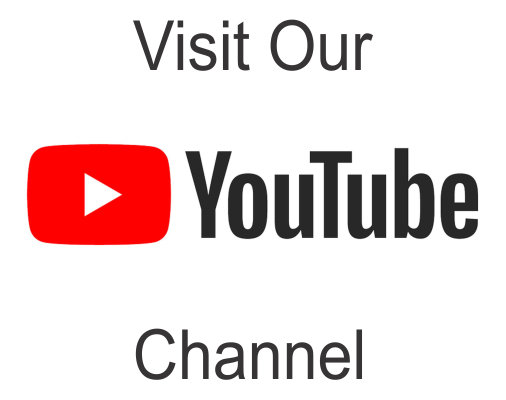 These instruments can be used to calibrate Liquid-In-Glass, RTD, Thermistors, Thermocouples, and Bi-Metal Thermometers. The certified thermometers are carefully inspected to insure they conform to exact specifications and are certified against NlST standards. 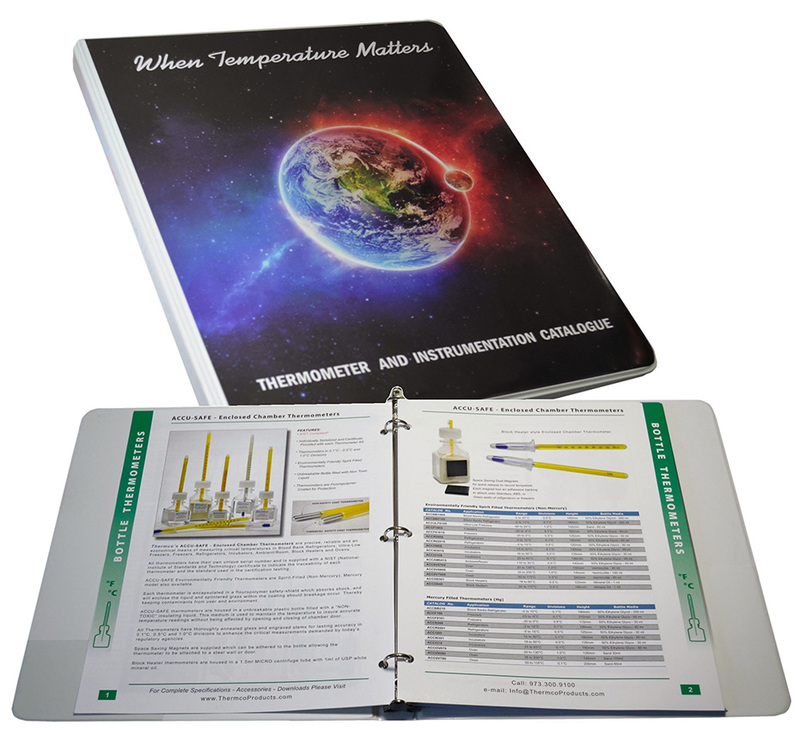 Each thermometer is furnished with a document proving traceability and a felt-lined leatherette storage case.